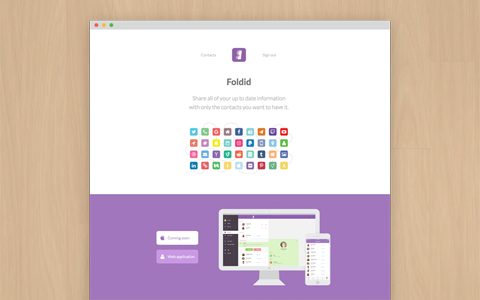 Foldid | A software and game company. A software and game company. New game in the works! Check back soon for an update. Web and iOS application that is no longer publicly available. In the app your contacts were connections with real people that managed their own information. When a contact of yours updated their information, you got the update immediately and automatically.